After the dust settles on the current Asian crisis, China will still exist -- the other super-power in the world of the twenty-first century, the country that has been rightfully dubbed not just another player in Asia but the "biggest player in the history of man." This thought-provoking book explores how China will evolve and what its emerging economic prowess and growing political clout will mean for business, economic, and political interests. 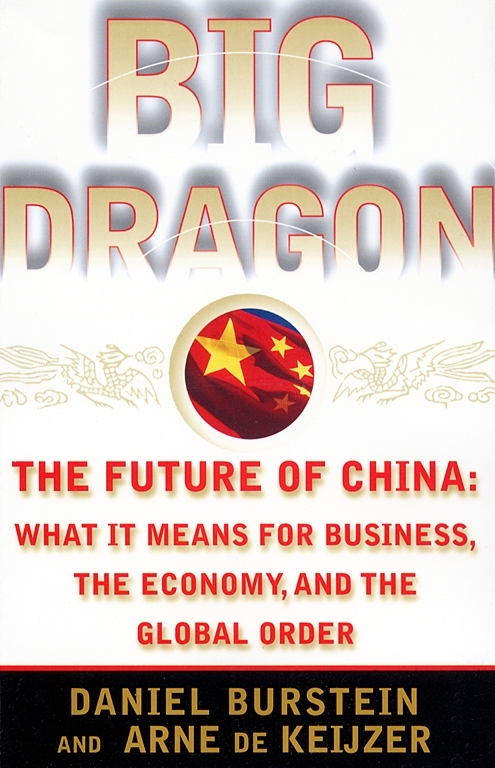 In a book that counters alarmist views of China as the new cold war enemy, as well as the naive optimism of those still overly bullish on a China facing huge economic pressure and structural challenges, Big Dragon offers a hard-edged, realistic, and eminently readable assessment of a nation that stands on the fulcrum of the global future. It was the book most widely read by senior American and Chinese officials during President Clinton's historic 1998 summit meeting with President Jiang Zemin. Daniel Burstein and Arne de Keijzer, who together have more than fifty years' experience traveling in China, doing business in China, and writing about China, offer a fresh, intelligent, and ultimately positive business and political strategy for the United States. Robert A. Kapp President, The U.S.-China Business Council Big Dragon is the book of the year....should be read by everyone with an interest in the U.S.-China relationship. Jeffrey E. Garten Harvard Business Review The authors skillfully navigate through the minefield of tensions inherent in relations between the United States and China....A thoughtful discussion about problems and possibilities, eventually arriving at a sensible and balanced prescription. The Philadelphia Inquirer A well-written, richly detailed appraisal of "the work in progress that is China"...provides a wealth of substantive information and fresh insights....An original, valuable addition to the worldwide dialogue about China's future global impact. The Washington Post A sensible tome...written in a sprightly style helped along by thought-provoking quotes from a variety of China watchers.